Cinyaa provides herbal freeze dryer, herbal vacuum freeze dryer, herbal freezing dryer, herbal freeze-dryer, herbal vacuum freeze dryers, herbal freeze dryers, ZG series herbal freeze dryer, precious herbal freeze dryer, herbal freeze dryer service. Herbal freeze dryer is suitable for drying heat sensitive raw materials that can decompose or polymerize or deteriorate at high temperature. Cinyaa herbal freeze dryer is widely used in pharmaceutical, chemical, foodstuff. Under the condition of vacuum, the boiling point of raw material will decrease and make the evaporation efficiency higher. Therefore for a certain amount of heat transfer, the conducting area of dryer can be saved. 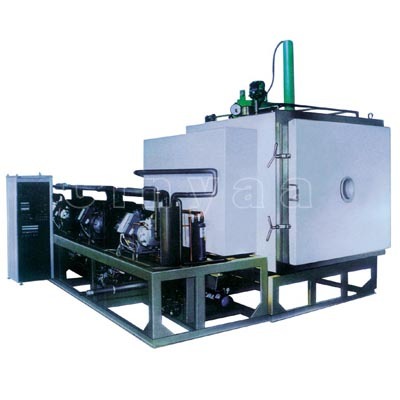 4, Double vacuum pumps are adopted to get best vacuum conditions to shorten the drying time. 5, Low assembling power, save cost and energy.